Cream cheese is a soft, fresh acid-coagulated cheese product, which is acidified by mesophilic cultures. It should have a light cream colour with a lightly lactic acid and cultured diacetyl flavour and aroma. 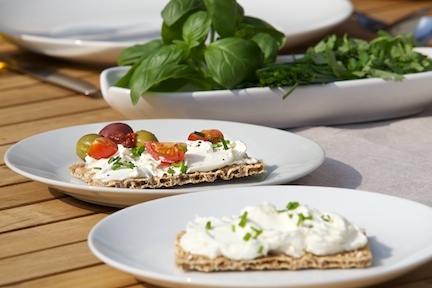 The texture of cream cheese can differ from being easy to spread to aerated or even sliceable. Cream cheese is used as an ingredient in other food products such as a base for cheesecake, as a spread or as a dip for snack items which require different product charateristics. A number of approaches can be used to reduce the cost of your cream cheese product and your production processes. Our team at KaTech can advise you on how to create a great product for less.